Winter mornings I am often too rushed to make a warm breakfast, but that’s exactly what your body craves. Something that will stick to your ribs without causing eater’s remorse later (doughnut anyone?). Oatmeal, we all know, is heart-healthy, full of fiber and other nutrients. Of course, we pay out the nose for gluten-free oats but its worth it if you like oatmeal, cookies, etc. I’ve taken to making a large batch of oatmeal on the weekend and then reheating it for midweek breakfasts. If you’re like me, tending to oatmeal is almost as difficult as having the time to cook it! What if it burns? Boils over? Fear no more. 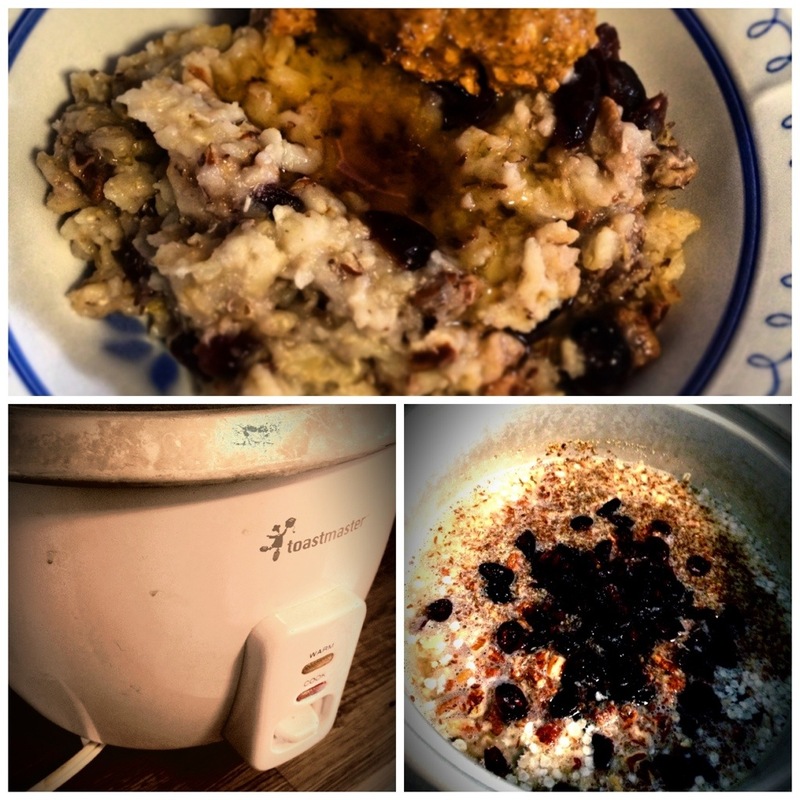 It turns out oatmeal does really well in a rice cooker! The process takes about 15 minutes to cook. If you leave the cooker on warm the oatmeal will continue to thicken. Never burned, easy to clean up. I’m always looking for a boost of protein and such so I’ve embellished the traditional oatmeal recipe with quinoa flakes and flax. If you’ve ever tried quinoa flakes as hot cereal, you’ll remember it’s quite bland. I find mixing it with oatmeal gives it more flavor will still giving you the nutritious kick of quinoa! I serve mine with a bit of honey, just as my grandma did. Try other fruits and nuts or leave them out altogether! Try a dash of cinnamon and apple thrown right in the pot! Also note that if you have a slow cooker, you can “set it ams forget it” by preparing your oatmeal and setting it on low overnight. In the AM you will have a warm breakfast just waiting for you! 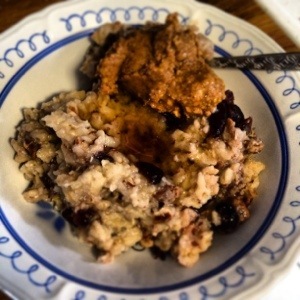 This entry was posted in Recipes and tagged flax, Oatmeal, quinoa on February 17, 2013 by gfvermont.